Bela Lugosi played Stoker's famous creation Dracula in the 1931 movie classic of the same name. The Count appears to be right. In a study of the afterlife of Charles Dickens’ A Christmas Carol (1843), the critic Paul Davis argued that the story of Scrooge “began as a text and became a culture-text,” but the term is perhaps even better applied to a character like Count Dracula. Although relatively well-received when written by Bram Stoker and first published by Archibald Constable and Company in 1897, it would have been impossible at that stage to imagine the global impact this modestly ambitious novel from a man best known as the genial and efficient manager of the great actor Henry Irving would have in the 20th and now 21st centuries. 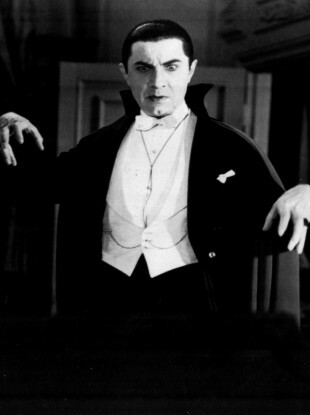 Not only is Dracula the best-known vampire of them all (and we’ve all been living through a veritable vampire ‘craze’ since the 18th century), but he is, in fact, one of the most recognisable characters in literary history – and the most filmed one bar none (and that is not counting his appearance in other media). Along with Scrooge, Sherlock Holmes and Frankenstein (although the latter is as often mistaken for his creation), Count Dracula has passed far beyond the pages of Stoker’s novel and can now claim mythic status. That this status is in large part down to the mesmeric attraction of the Transylvanian bloodsucker for screenwriters and cinema audiences, and accepting that most who recognise his name will never have read the novel in which he first appeared, or even have heard of such a person as Bram Stoker, should not detract from the cultural significance of text or author. The book itself has never been out of print, and is available in a bewildering variety of versions, from mass market paperbacks to collector’s editions and every possible variation in between. Given the enormous popular cultural presence of Dracula, though, it took until the 1970s before scholarly attention began to be seriously directed towards the vampire, though the academics were quick to catch up. Indeed, since the publication of Radu Florescu and Raymond McNally’s In Search of Dracula in 1972, those two intrepid adventurers have been joined by an extraordinary number of commentators, critics and scholars and there is now an enormous body of secondary material circling around a novel that has moved from the academic margins to the centre in a very brief space of time. Serious consideration has been given to the question of why (and how) a middle-class Anglican from Victorian Dublin generated a modern myth, and one point that has been made by many scholars is that Stoker was not alone in Irish literary circles in his investment in the Gothic and monstrosity. If Stoker provided the world with the best example of the male vampire, after all, his fellow Dubliner, Joseph Sheridan Le Fanu, gave the world the most significant female vampire ever in Carmilla, the eponymous anti-heroine of his 1870 novella. The ‘unholy trilogy’ of Trinity College-educated Dubliners is rounded-off by Charles Maturin, the author of Melmoth the Wanderer (1820), now almost completely forgotten except by scholars of the Gothic and the students they continue to require to read his enormous and labyrinthine masterpiece. These writers all hailed from a class and a religious group whose grip on political power in Ireland was slowly slipping away across the 19th century. In an influential formulation, the historian Roy Foster has argued that as the Catholic middle class grew and began to occupy traditionally Protestant positions in municipal government and local structures of power, many Protestants compensated for their loss of power in the real world by re-investing their energies in another, more obscure, and yet more powerful domain. Foster contended that the major Irish Gothic writers were marginalised figures “whose occult preoccupations surely mirror a sense of displacement, a loss of social and psychological integration, and an escapism motivated by the threat of a takeover by the Catholic middle classes”. This argument is quite persuasive in terms of understanding the particular attraction of the Gothic for Irish Anglicans (as long as it is qualified by a recognition that the Gothic in Ireland has a history that stretches back into the 18th century, and that very many Irish Gothic writers were Catholic) – what Frank O’Connor once termed “submerged population groups” may well be attracted and gravitate towards forms and genre that speak to their in-between status, their religious, social, political and personal liminality. The Gothic, which is packed full of ‘in-between’ monsters, like vampires (who are living and dead), may well be irresistible to hyphenated figures and groups (which might help explain its attraction for teenagers also). As Ireland continues to grapple with its own in-between status, between tradition and (post-)modernity, Berlin and Boston, Britain and Europe, the Gothic will most likely continue to occupy a central place in its literary scene. Jarlath Killeen is a lecturer in Victorian Literature at Trinity College Dublin. The Bram Stoker Festival runs from this Friday, 28 October to Monday, 31 October to honour Dublin’s most famous Gothic son with four days of living stories and four nights of deadly events. Email “The making of Dracula: How Bram Stoker's 'in-betweener' status inspired horror”. Feedback on “The making of Dracula: How Bram Stoker's 'in-betweener' status inspired horror”.